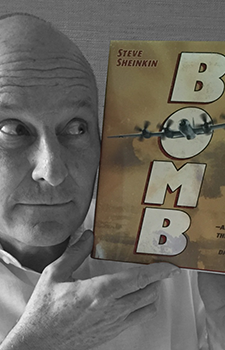 Bomb (Roaring Brook Press, 2012) is recommended for ages 10 and up. Be sure to check out Scieszka’s Frank Einstein series, illustrated by Brian Biggs (Amulet Books): Frank Einstein and the Antimatter Motor (2014), Frank Einstein and the ElectroFinger (2015), and Frank Einstein and the BrainTurbo (2015). Learn more at JSWorldwide.com and GuysRead.com.